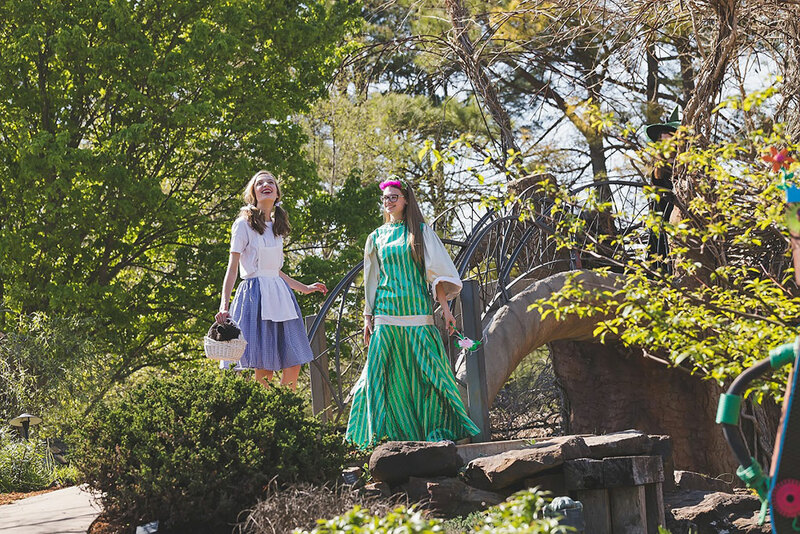 The Botanical Garden of the Ozarks will host a family-friendly festival featuring performances by Arts Live Theatre from 3-7 p.m. on Saturday, April 27. The eARTh Theatre Festival will include several 15- to 20-minute performances in difference locations throughout the garden grounds. Each show will run six times, with a short break in between to allow guests to visit each location and see all of the plays. Performances include The Wizard of Oz, Alice in Wonderland, Peggy the Pirate and Tom Sawyer. There will also be a special sneak peek performance of the upcoming Arts Live Theatre show Junie B. Jones. Guests can also explore the garden and enjoy crafts throughout the evening. Mo’Tacos & Churros and Dot’s Nashville Hot Chicken will have food and drink available for purchase. Tickets may be purchased at bgozarks.org. Advance ticket prices are $12 for adults and $8 for children ages 3-13. Tickets purchased at the gate will cost $15 for adults and $10 for children. Admission is free for kids under 3 years old. Officials said if it’s raining on Saturday, the event will be held the following day at the same time.